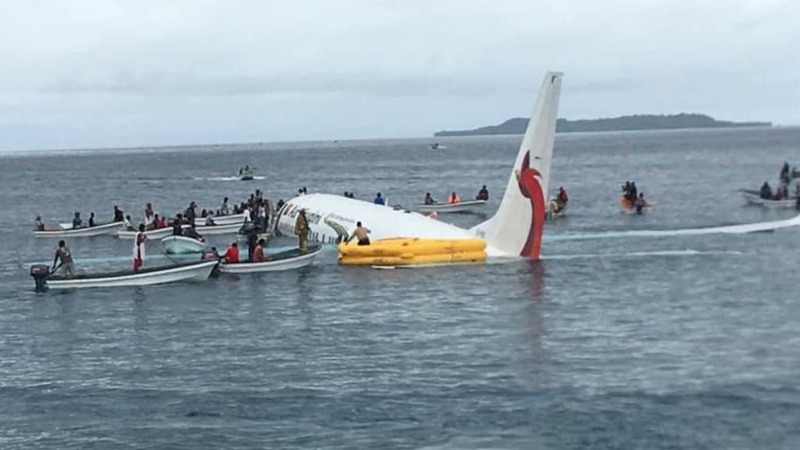 The national airline of Papua New Guinea, Air Niugini, confirmed that one of its aircraft, a Boeing 737-800, crashed short of the runway while attempting to land at Chuuk International airport, Federated States of Micronesia, this morning. 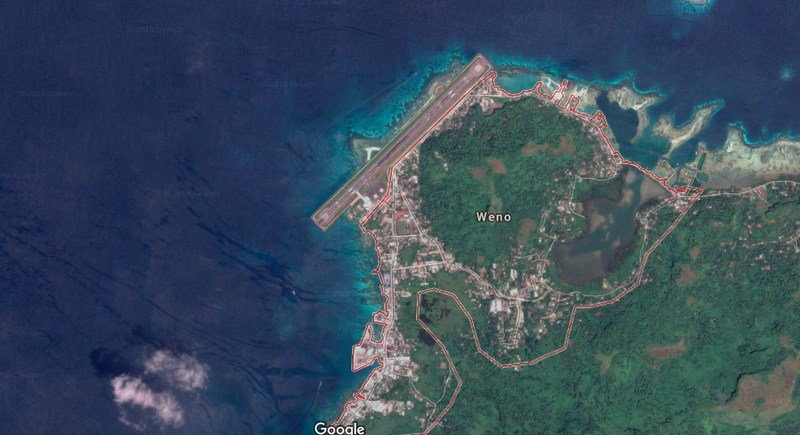 The aircraft, registered as P2-PXE, was operating scheduled flight PX 073 between Pohnpei and Chuuk Airport in Micronesia when the accident occurred, at around 10:10 am FSM local time. 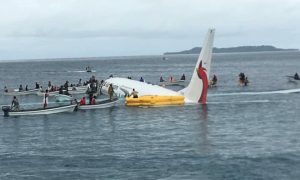 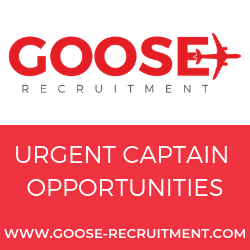 The airline said it has been informed that the weather was very poor with heavy rain and reduced visibility at the time of incident. 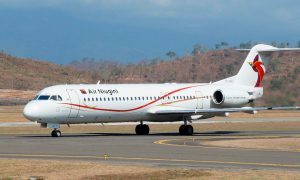 Air Niugini has scheduled a special flight for company personnel tomorrow morning to take airline management to provide assistance to passengers and crew who were on flight PX 073 that crashed earlier today.